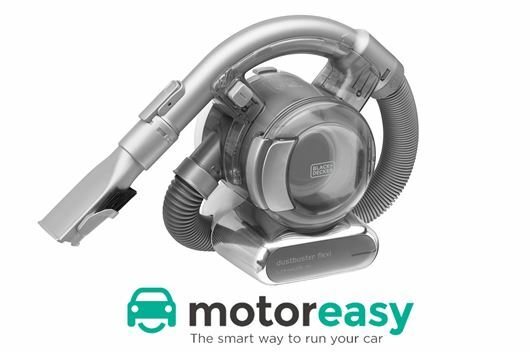 motoreasy.com has generously provided the Black and Decker Dustbuster Flexi 18V as a prize for our bundle. This compact vacuum cleaner comes with several attachments and a charging base. It's wireless, plus it's extremely light and small - making it perfect for cleaning car upholstery. It takes four hours to charge from empty and can be used for around 15 minutes before it needs to be recharged again. It costs around £90 in shops and there will be one for each of our 10 award winners.